It is important to have insurance portfolio consultation with wealth advisors to help determine not only your insurance needs but also your financial goals and this is where the BBG Broker comes in. 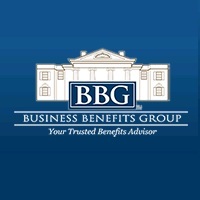 The company is one of the most reliable Business Benefits Group in Fairfax, Virginia. And their goal is to build a secure future not only for businesses but also their employees by providing comprehensive employee benefits, insurance, and retirement solutions. The company has won many awards in the past but recently, they have been rewarded with another accolade—the Best Place to Work in Insurance award given by the Business Insurance. This award is given yearly and it acknowledges agents, insurers, brokers, and providers that give high employee engagement and satisfaction. Talent is one of the most important assets of the insurance industry and it serves as the engine for the future growth of the industry. But what makes the BBG Brokers stand out among the rest of equally competitive insurance companies? The company hires people who are driven, have good analytic as well as communication skills. BBG Brokers understand that while talent and hiring the best people are both important, the company also provides an environment where employees can think out of the box and look ahead for sustainable solutions. But more than that, the management also understands how it is important to hone talents and acknowledge every contribution that its employees make-however small it may be. Part of providing an exceptional working environment for its employees, BBG Brokers also takes an interest in the professional growth of their employees thus they invest in their future. Promising employees are encouraged to pursue certification programs by offering them as career incentives to further their career within the industry. Lastly, BBG Brokers stress the importance of keeping employees happy by giving benefits and incentives. So aside from salary compensation, the company also provides many employment benefits to show appreciation to its hard-working team. The thing is that BBG Brokers provides a great environment for their employees thus making it worthy to receive the award. So, if you are planning to have a competitive career move, you might want to consider working for them. Visit https://www.bbgbroker.com/ for more career information today!